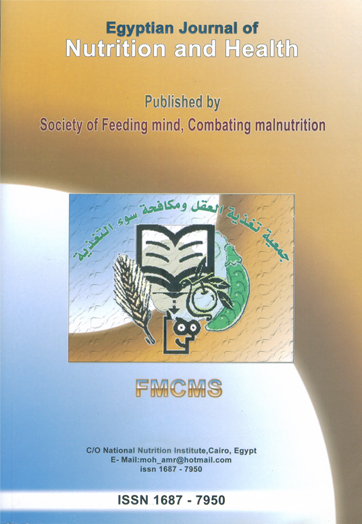 Nutrition and Food Science Department, Faculty of Home Economics, Helwan University . In the present study, gross chemical composition and some minerals content of Eruca saliva leaves and seeds were estimated. Also, hepatotreatment activity of Eruca sativa leaves, juice, oil and seeds against paracetamol induced liver damage in rats were investigated. Results of this study revealed that Eruca saliva (rocket salad) seeds had higher content of protein, fat and carbohydrate and minerals (Zn, Fe,Ca, K and Cu). Eruca sativa leaves had higher content of fibre, ash and moisture. Paracetamol induced liver injury rat groups treated with Eruca sativa leaves, juice, oil and seeds improved weight gain percent and food intake that appeared within normal. However, they decreased total serum protein and urea with significant increase in total bilirubin, haemoglobin (Hb) and packed cell volume (PCV) compared with control (+ve) group. Moreover, they lowered liver function enzymes, liver cholesterol, total lipids and MDA and elevated liver triglyceride, glycogen and liver antioxidant enzymes compared with control (+ve) group. In conclusion, Eruca sativa could could help the liver against paracetamol induced hepatic injury through its potent antioxidant activity in rats.